Cloud Pirates giveaway! Win one of 500 keys for the closed beta of this skyblazing MMO! Cloud Pirates, a PvP-oriented MMO, is all about becoming the best, most swashbucklin’ sky pirate you can possibly be. 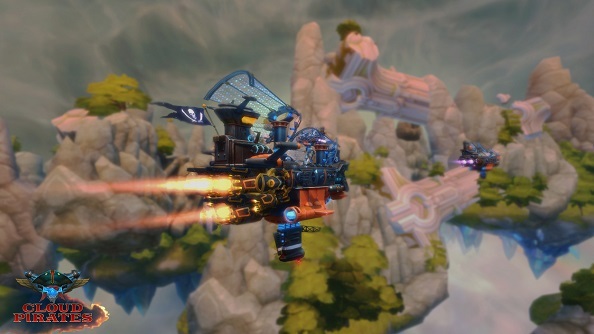 Navigating the clouds on your airship, you’ll engage in fast-paced, MOBA-style battles against rival players across various game modes, either solo or in teams, for a chance to get your hands on some prized booty – or, for non-pirates like you and me, gold and XP. You’ll use this to upgrade your ship in various ways, whether it be adding mods that alter the stats of your ship, new weapons, or upgrading to a new ship entirely. The beta servers are only open during specific times, so please head here to see when you’ll be able to play each day. We’ve got 500 codes for the closed beta to give away, which opens on December 21st at 16:00 GMT, and lasts until January 2nd 07:00 GMT, and for a chance to win all you need to do is enter using our widget below. Each action gives you one entry into the prize draw, and the more actions you complete, the more chance you’ll have of winning. Simple! Upon winning a code, you’ll need to head to https://pirates.my.com/en to create an account, and then to https://pirates.my.com/en/user to redeem your code.